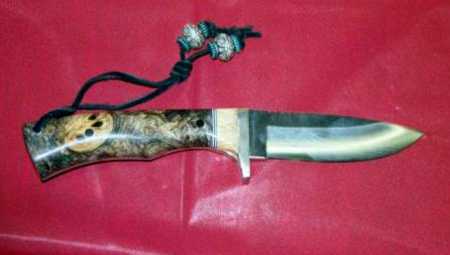 Stabilized black ash burl is used on the handle of this knife. 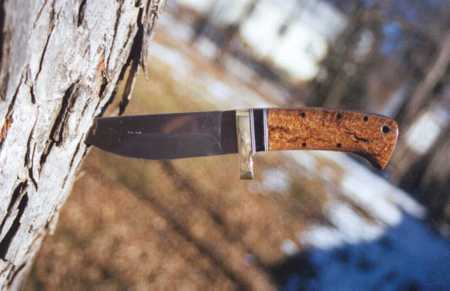 Stabilized maple burl is used here. 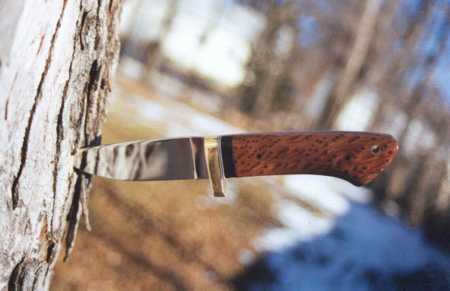 Stabilized redwood burl is used on this knife. 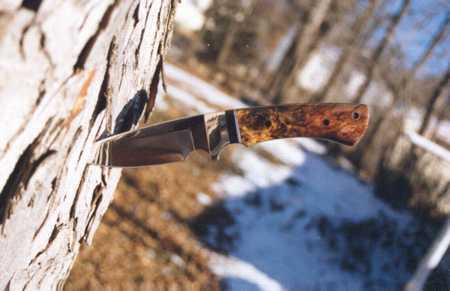 Stabilized California buckeye burl is used here. This page was last modified : Monday, 27-Nov-2006 03:58:19 EST.